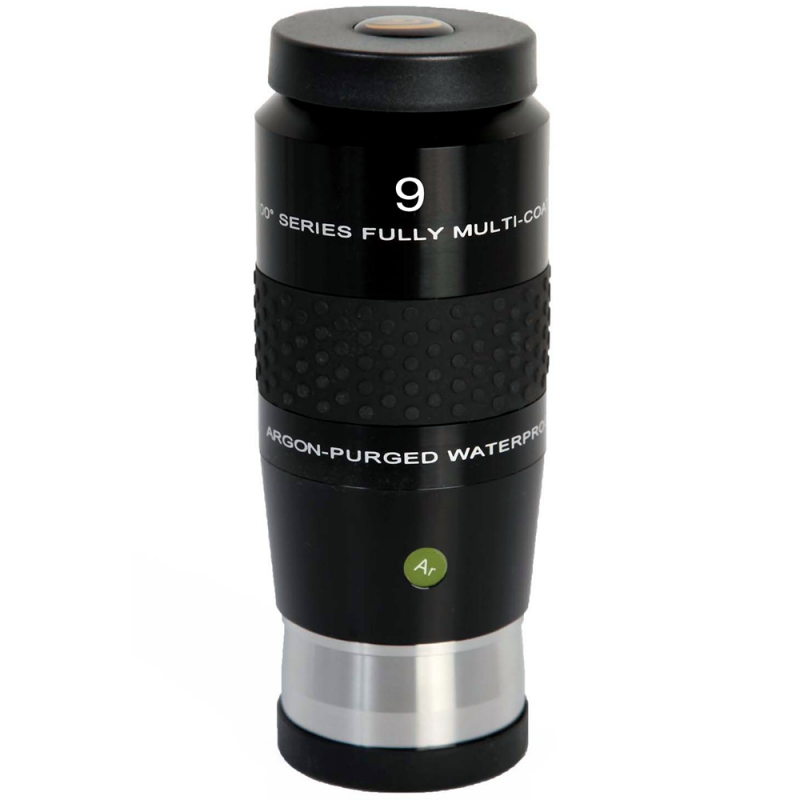 This 9mm eyepiece has a 100 degree Apparent Field Of View and the body of the eyepiece is Argon-purged and waterproof preserving the internal elements to remain as pristine as the day they were assembled. The sealed, dry environment is impervious to internal fogging and contaminants such as fungus growing in between the lens elements. The waterproof eyepiece is easier to clean, and there is no risk of cleaning solution migrating from the top of the lens and seeping around edges to be trapped in between elements. To insure a perfect seal the eyepiece is tested in one meter of water for 30 minutes. The eyepiece features EMD (Enhanced Multilayer Deposition) Coatings.